Hi! I was wondering if anyone knew the best place I could get Super Battle Collection figures. 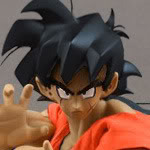 I am fairly new to collecting DBZ figures and I was wondering about some websites were I could buy some (Besides eBay). If you could link them I would be very happy! Since the figures are so old, I can only imagine ebay, letgo, and craigslist would be good options if you live in the United States. Most websites only carry new figures. You'd be best advised to check third party selling sites, like Branjita suggested. One thing you could do is check with vintage toy stores in your area (if you have any that is). I live in Washington state near a store called "Boba Khan" and they have several Super Battle Collection figures in stock at all times. Sometimes, check Mercari. Very good deals if your lucky. jirendy As far as I know, we don't have any Malaysian members. Are you our first member from Malaysia?? Branjita Really? Im from Indonesia sir, maybe im the first from Indonesian..? haha. Btw nice to meet u.